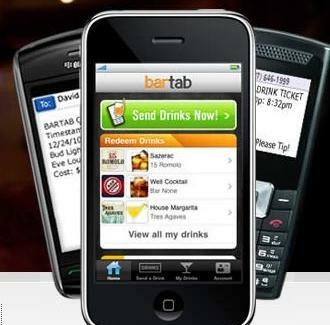 Just launching in LA on Thurs after finding huge success in SF, Bartab's a Facebook/iApp allowing you to buy discounted $1 drinks for friends, which they can then redeem later for another buck, but not an Uncle Buck, because those can only be redeemed for Candy (RIP). 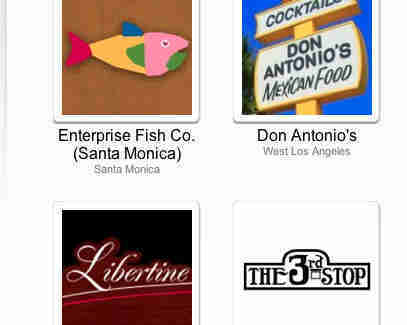 Here's how it works: first, figure out who you want to buy drinks for; then, click your pick (beer/ marg/ well/ etc) at whatever bar they frequent from a list of participating spots; the first participants in LA include a wide range, from Melrose's The Parlor, to Hollywood's Capital City, to Culver City's Rush Street, which is super-technically proficient, and theoretically should be really good, but is actually the most annoying street ever. Once you've chosen the booze, it'll show up on their Facebook wall with an optional message, and they'll also receive a text coupon on their cell phone that they can show the bartender, who'll then respond, "One beer/marg/well, etc, coming right up!". The whole shebang launches Thurs with a party at Dillon's, which'll feature $1 beers and vodka as well as $1 wings and sliders, also the name of the show that ruined your person-to-person interactions, at least until John Rhys-Davies left.